There is much fun to be had by listening to the song and trying to predict the new word for each clue given. Craig Smith's song, The Wonky Donkey, won an APRA Silver Scroll Award in 2008 for Best Children's Song of the Year. We purchased this book two years ago when my daughter was a baby, we have continued to read it to her over the past 2 years (and now read it to our son who is one year old) and they both absolutely love it as do we!! It has such a catchy, funny story line and is it is very easy to sing along!! The illustrations in the book are also lovely and easy on the eye. 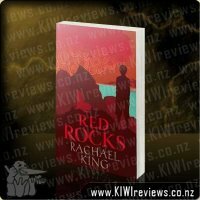 This book is very appealing to an wide range of audiences from birth to adults. When ever we go on to the computer now too my daughter asks to watch the wonkey donkey video on you tube, then we get the book and read/sing along whilst watching the video. I highly recommend this book to all, it also makes a great present - from christmas to birthday to baby shower present. It will surely be appreciated. There are also about three or four books in this range, we have bought a few of the other books too and they are just as good. Most of the books come with a copy of the song on disc, so you can pop it on in the car and sing along. The Wonky Donkey book is a must own item...if I had to choose one item to take with me to a deserted island the The Wonky Donkey would be it!! I am super glad the book comes with a CD as the story can be a bit of a tongue twister, plus it sounds way better sung on the CD rather then me falling over my tongue. When I bought the book I got a bonus soft toy of Wonkey Donkey and the kids thought this was great they spent hours carrying the toy about and he must be present when the book is read. 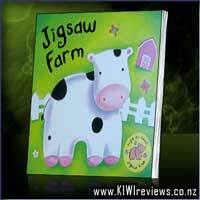 Even young children get the humour behind the storyline of the book, I mean who doesn't like farts right?? Sometimes there is so much laughter coming from the children that the CD needs to be paused until the laughter dies down and the children are ready for the next funny part. The illustrations throughout the book add to the humour as the donkey is drawn with an expressive face and expressive body language. A must have book and I recommend that everyone goes out to purchase a copy of the The Wonky Donkey right now!! you won't regret it...good value for money! The Wonky Donkey has become a favourite in our house. Our daughter was given it when she was born and our son (2yrs 2 months at the time, now nearly 3) took over ownership! He puts the CD in the CD player and sits down with the book. He follows the pages with the CD. 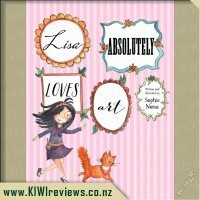 The repetition, rhythm and the lyrical nature of the way the words are put together makes it a story that really catches both children's and adults interest. 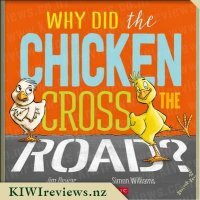 I find myself walking around the house singing "I was walking down the road and I saw a donkey...hee haw..." The story has quite a bit of humour in it, again fun for children and adults. The illustrations are delightful and even the font of the text adds to the fun feeling of the book. It was a huge bonus to go to the Hamilton Public Library a little while ago to see Craig Smith and listen to him read/perform The Wonky Donkey. My son just loved it. I think that this has become a book that should be part of every home library and I would highly recommend the version with the CD too. Quite possibly one of the best children's sing along books I have ever had. 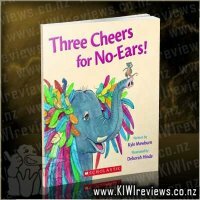 This is a great book for children to sing along to and is sure to have them in fits of laughter as they listen to the mishaps of the wonky donkey. I bought this book as an early childhood teaching resource and it has become one of my most used books. The children absolutely love it and especially love that we can put the CD on and join in along the CD. It makes it good for me too as I don't have to sing as loud! The story of the wonky donkey makes the children laugh so much, they especially love the bit about him being stinky. 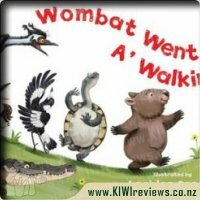 With it's rhyming and repetition it makes it a fantastic book to sing along to and the children soon learn the words. I can't wait for my son to enjoy this book too when he gets a bit older. Even my 10 year old can have a giggle at the story she likes the bit about the donkey being cranky as he hasn't had any coffee because she thinks that's like me in the morning. I am super excited about the release of the Wonky Donkey's next adventure the House that Wonky Built and can't wait to add it to my collection. I think this book will continue to be a hit for years to come the comical donkey is sure to become a children's classic. WOW, YAY, AMAZING, FUN, PLAYFULL the list goes on as we all describe the LOVE of the Wonky Donkey. As soon as it plays in our house the kids get so loud laughing and trying to sing along. We have three boys (5,5,7) so they absolutely love the farting part of the book. In my opinion this book has you addicted from the 1st page and I love seeing the kids enjoy learning to read the book as well. The CD is perfect for added fun in the car on those long holiday trips, if the kids must be "loud" in the car, well we just join in with this fun song. We love Craig Smiths ability to create wonderful catchy, fun, entertaining rhymes and the artwork of Kate Cowley is bright fun and absolutely perfect for this awesome children's book. 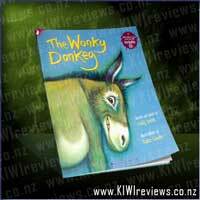 The Wonky Donkey is great value, this is a book for all ages to enjoy and one of those "never swap/trade/dump books". Even the great grandma loves this. 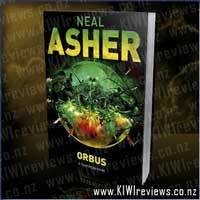 I think the minute this book was released it became an instant hit! I own a copy and have brought several other copies as presents for friends and family. A story based on the donkey that is wonky, each page reveals something else about the donkey ~ and each page has children giggling and pointing out new things they've spotted on the page... The page that describes the donkey as stinky (he farted).. well.. you know what children and fart jokes are like (this is no exception!). As well as owning and using our own copy I am also an early childhood teacher, its truly lovely to see children getting so much enjoyment out of a story! Ive used this book for mat times and it easily captivates the minds of 50 children (under fives) instantly which is pretty impressive! 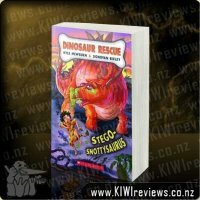 Absolutely a must have book for kiwi kids! 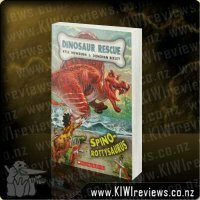 This is one of those books that will switch children onto reading, and has such a catchy text that no member of the family will mind reading it or listening to it. 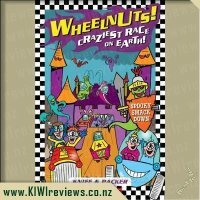 The rhyming text is a source of amusement to all, it is a real make you grin book! We brought the CD - book combination, and our nearly seven year old still asks us to play the CD in the car, and her ten year old sister sings along. I teach pre-schoolers, and they are always asking to listen to the wonky donkey! In terms of literacy it's fantastic, the repetition means the children can join in and help 'read' the story. There is a song CD by Craig, which has the Wonky Donkey and other songs on it, and I would recommend families purchase this too; Craig also has another book called Willbee the bumblebee, which is just as brilliantly written as the Wonky Donkey! Is this book value for money? Definitely this is one book that will get read over and over for years, and when your children outgrow it the grandchildren will enjoy it. Man, the Wonky Donkey is a really addictive read - and not just for my daughter!!! I have lost count of the amount of repeats I have read of this book, and after borrowing it repeatedly from the library - had to buy a copy to keep. 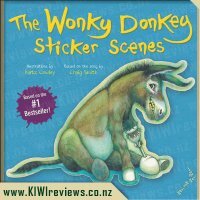 Wonky Donkey is a hilarious kids story, that entertains children of all ages (though it is apparently aimed for 5+), whether it is through the repetition, or the fabulous illustrations that capture and hold even the youngest of attention spans. I really like that children that are not yet reading can try and predict the next added word to the rhyme through the pictures. There is a CD with the song this book is based on included, or - you can get the set that has a Wonky Donkey toy as well (which we did) and then Wonky Donkey can read the story each time with you. I purchased this book from an online book retailer, so paid way less that the RRP - making it a really great purchase for your own family, or as a gift for friends. If you are looking for more from this writer, there is another book called Willbee the Bumblebee. 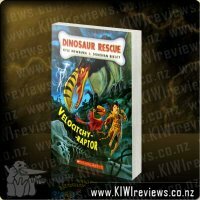 It is the same illustrator and writer and is a fantastic addition to any bookshelf! My daughter and I completely love the Wonky Donkey. Craig Smith is a genius. He writes words that are catchy, fun, flow really well and make kids laugh their pants off (not to mention us parents too). This is one of the few books my daughter owns that I can honestly pick up and want to read as well. Kate Cowley's illustrations are bright and fun as well. I love her interpretation of the various silliness the donkey displays. My favourite part of all has to be "spunky" hee hee. My daughter loves "Stinky", and what kid wouldn't. This book comes with a CD of the song as well, which is a great bonus. That way even if you don't have the book with you, you can still listen to the words and sing along in the car. Definitely a great buy and a wonderful book. I can recite The Wonky Donkey off by heart, I have read it so many times and played the CD so many times, the book is been 'borrowed' by another educator (it's actually hiding in my cupboard, so we can have a change for a short time. The children go absolutely mad as soon as the song starts playing dancing round the room like a group of wild donkeys. The children even try to join in, reciting the words, it's hilarious to hear their version of the words. this is not a story for quiet or sleep time as the CD has an excitable tune and the words also make the children want to move. I have had The Wonky Donkey for two years now and it is a hit with all the children in my home. The children love singing the song and reading the book. The donkey appeals to the boys because he farts and eats undies. The song on the CD is very catchy and the kids often sing it spontaneously. Since getting this book we have also requested Nana buys Craig Smith's other 2 books and his music CD too and they are all very popular. This is a book/cd set for everyone! We were lucky enough to hear this fantastically catchy song live in the Arts Center in Christchurch, so naturally when it was released as a book and cd with a free soft Wonky Donkey of course we had to have it. Kids will love the challenge of trying to keep up with the fast pace as the song goes along and parents will love how much fun it is, even after reading it over and over. 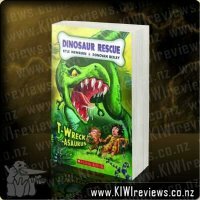 The lyrics are funny and the illustrations are wonderful, this is a definite must have for the book collection and best of all its Kiwi made! My children (boys aged 9 and 10) spoke about the wonky donkey a lot, and could also often be heard all about the wonderful donkey they heard all about at school. They even taught miss 4 the story. However I myself had never heard it. So after months of 'please mum', 'can we get it', 'are you going to buy it' I finally relented and purchased the book and cd set complete with cute little donkey...awwww! And I must say, it has been the best book and CD purchase ever. Yes the Wonky Donkey has to be the best childrens book I have come across. But not just for children, for adults too. Yes as I said my kids love it, but so do all my friends. The story is fantastic, the lyrics, the pictures, the humor it is all awesome. Add in the CD and it is the funniest story one has ever heard. 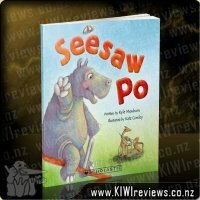 The tune is so catchy and the author amazes with how well he can sing his wonky donkey story. This is one of those books where children just keep on returning to it, no matter how many times they have read it. The CD can cheer up anyone no matter how bad their day has been prior. 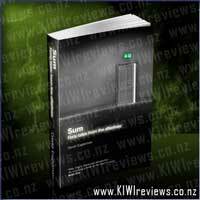 Absolute brilliance at its best, and a story that makes one proud it was penned by a kiwi. 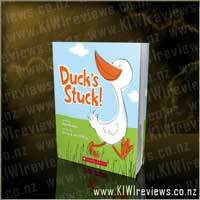 My son was given this book by his aunty, He adores this book, It is a catchy rhyming book and comes with a CD. The book cannot simply be read no matter how hard you try, it ALWAYS ends up being sung. 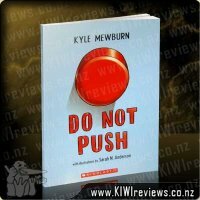 This book is good for those dads who are not so keen on reading because its fun, simple and nice and short. My partner is not the most confident reader but he loves reading this one to our son. 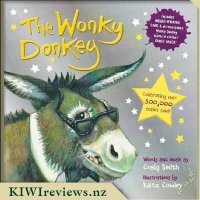 I also love how this book is a Kiwi one, The donkey has a lot of character, and is tough enough even for the older boys and still cute and friendly enough for the girls. This is a fantastic book. I have two daughters aged 5 and 2 and they both love listening to this book. The cd that goes with it is excellent and the whole tune is very catchy. I even find that I can't just read the book, and end up singing it. 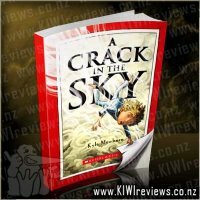 This is definitely a favourite book of the whole family - anyone that hears it just can't help falling in love. This has to be one of the cutest little stories I have read in ages. Wicked and witty, with enough 'fluffy' to appear to girls, enough 'gross' to appeal to boys, and more than enough 'music' to appeal to any kid of any age. The CD that comes with it is a great touch, though I would have liked to have seen some multimedia components on it. The video on YooTube is hilarious to listen to especially when you watch Craig's face, so putting a high-res version of that on the CD would have been a simple matter. There was plenty of space left with the single song only taking a mere 36mb. The younger members of the family have nagged and nagged me until in the end I relented and left them to their frantic giggles in the lounge with the CD on loop play and a warning that I would be back after half an hour to stop it. An hour later I was still being begged not to switch it off. 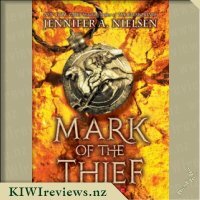 I think I should have been offered a bulk deal by the bookstore, because I was nagged to death until my only option was to buy 8 more copies as gifts for the mini-whanau. I don't think I would have survived the afternoon intact if I hadn't. This book is absolutely hilarious! And it has the whole family in stitches every time it is read. It is honestly a pleasure to read, and since getting this book it has been read at least 50 odd times in just a few short weeks!! 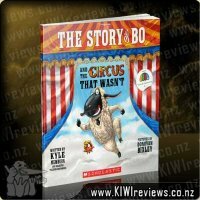 I love that fact that it is a New Zealand story, written and illustrated by Kiwi's. My daughter adores this book, and ever since she had it read to her for the second time, she knows exactly how the book goes, especially when the donkey smells really, really BAD! ha ha ha. 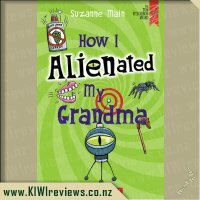 This is a very quirky book suitable for all ages. The illustrations are wonderful. They are attractive to children and adults alike. The added bonus to this story is the Music CD that comes with it. The re-telling of the story sung as a song. This makes the story even funnier, as i can't tell the story as great as Craig Smith can, however i do try and get nearly the same amount of laughs. My daughter loves to dance to this song, and i have to put it on repeat in the CD player as she keeps requesting it one after the other so it makes sense to me to just keep it playing. And it is definately a song i still haven't got sick of!! WELL DONE!!!!!!! This has to be one of the wackiest kids stories I have ever come across. It's all short little stanzas that are fun, and easy to read to even the smallest audience members. My 18mth old *adores* it when daddy reads this to him. Fills him with giggles every time. The illustrations are amazing, full of character and depth that appeals to the youngest readers, capturing their attention with ease. 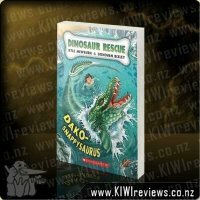 The accompanying CD with the audio original of the song this book is based on is a great touch, adding value to the purchase of this highly entertaining children's book. Overall, an excellent purchase, and one that the kids will value. They can read along, sing along and laugh along at every stage. It&apos;s the biggest case Secret Agents R Definitely NOT Us have ever seen. Wild animals are turning to a life of crime and it&apos;s all the work of evil Doctor Evil MacEvilness. 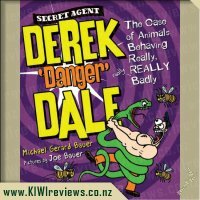 Can Secret Agent Derek &apos;Danger&apos; Dale outwit a criminal mastermind, escape the clutches of the four most deadly creatures on the planet and save the world&apos;s biggest diamond? Extreeeeeeeemely unlikely!